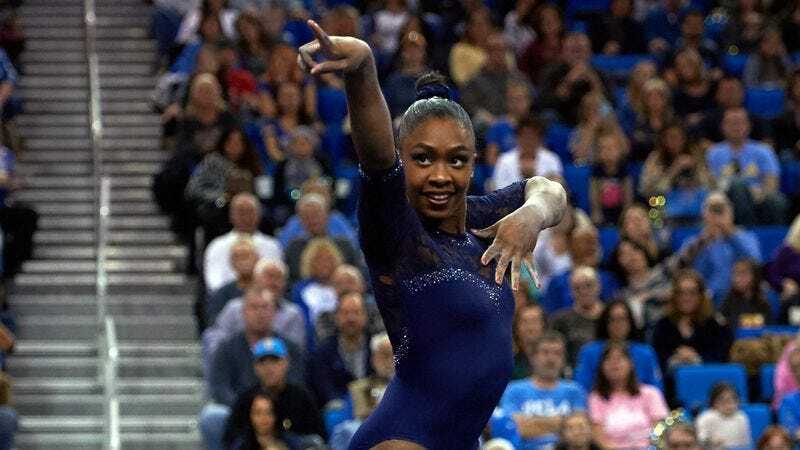 UCLA gymnast Hallie Mossett channeled Beyoncé for a performance at a recent meet versus Arizona, and the results are pretty outstanding. In her floor routine, which used chunks of both “Formation” and “Single Ladies,” Mossett harnessed her inner Queen Bee into two minutes of furious flipping, flaunting, and floor punches. She ended up scoring a well-deserved 9.975 on the routine, a personal best for her. This isn’t the first time a gymnast has set a routine to Beyoncé. Brazilian athlete Rebeca Andrade did a Bey-themed floor routine at the 2016 Summer Olympics.